Acknowledging that Apple is "underpenetrated" in India, CEO Tim Cook has said the US tech giant is strengthening its local presence in the country and is optimistic about its future given the fast-growing economy and improving 4G network infrastructure in the country. "We set a new March quarter record for India, where revenue grew by strong double digits. We continue to strengthen our local presence across the entire ecosystem, and we're very optimistic about our future in this remarkable country with its very large, young, and tech-savvy population, fast-growing economy, and improving 4G network infrastructure," Cook said in the second quarter results earnings call yesterday. Cook was asked that the California-based company is underpenetrated in India and whether the company will need to work with the country's government to have Apple-owned stores or production given the great opportunity in the country. "We think it's a great opportunity too, and so we're bringing all the things that we brought to bear in other markets that we've eventually done well in, and that's from channel to stores to our ecosystem and so forth,” Cook said. Apple’s senior vice president of worldwide marketing Phil Schiller was in India opening a developer centre last quarter. "And so there are a ton of things going on there (India). And we agree that we are underpenetrated there. Our growth rates are good, really good by most people's expectations, maybe not mine as much,” Cook said. He said the iPhone maker is putting a "lot of energy" in India, just like Apple has in other geographies that eventually wound up producing more. "So I'm very excited about it,” he said. Cook emphasised that the 4G network investment began rolling in in a significant way toward the last quarter of last year in India, which is the third largest smartphone market in the world today behind China and the US. "But they are moving fast. They're moving at a speed that I have not seen in any other country in the world once they were started, and it is truly impressive,” he said. Apple has been "investing quite a bit" in India and has a "ton of energy" going into the country on a number of fronts. Cook sounded a bullish tone for the future of Apple in India as the 4G network infrastructure grows in the country. "And so we believe, particularly now that the 4G infrastructure is going in the country and is continuing to be expanded, that there is a huge opportunity for Apple there. And so that and the demographics of the country is why we're putting so much energy there," he said. 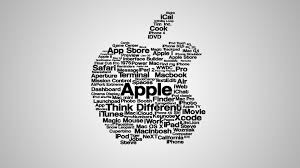 Apple's Senior Vice president and Chief Financial Officer Luca Maestri said the company achieved double-digit growth in the US, Canada, Australia, Germany, the Netherlands, Turkey, Russia and Mexico. Apple’s growth rates were even higher, over 20 per cent in many other markets, including Brazil, Scandinavia, the Middle East, Central and Eastern Europe, India, Korea and Thailand,Maestrisaid. Apple posted revenue of USD 52.9 billion for its fiscal 2017 second quarter ended April 1, 2017, up from USD 50.6 billion in the year-ago quarter. International sales accounted for 65 per cent of the quarter’s revenue. It reported net income of USD 11 billion for the second quarter as compared to USD 10 billion a year ago. The company said that the number of iPhones sold globally fell 1 per cent in the first calendar quarter, compared with the same period a year ago. It sold 50.76 million iPhones in its fiscal second quarter ended April 1, down from 51.19 million a year earlier.